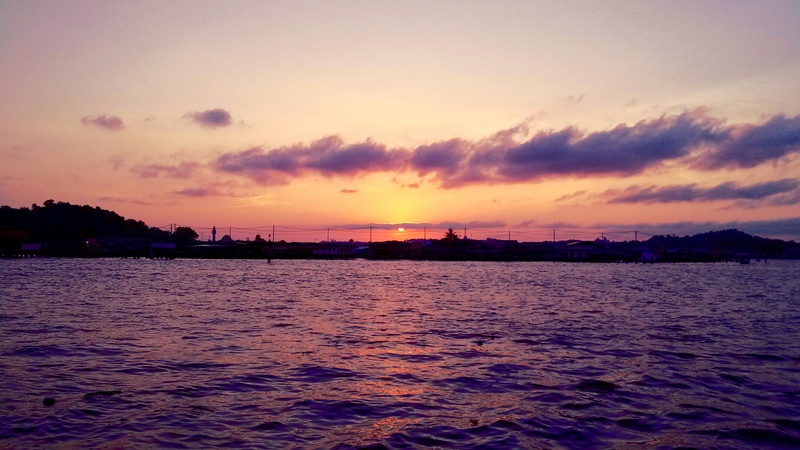 I figured all the details out for this amazing morning run – Planned my route, filled my bottle, laid out clothes, shoes and watch… even did a playlist just in case I wanted some music. Because I down so much liquid in general throughout the day, I also thought it’d be a good idea to make sure I drank a colossal amount of water before I went to bed. And yes, the alarm was set to make certain I didn’t oversleep. Come morning, I was all groggy. I didn’t have enough sleep. All my planning rendered my sleep restless. I was all excited and nervous about this morning run, and it’s as if I’ve never done morning runs in my life! 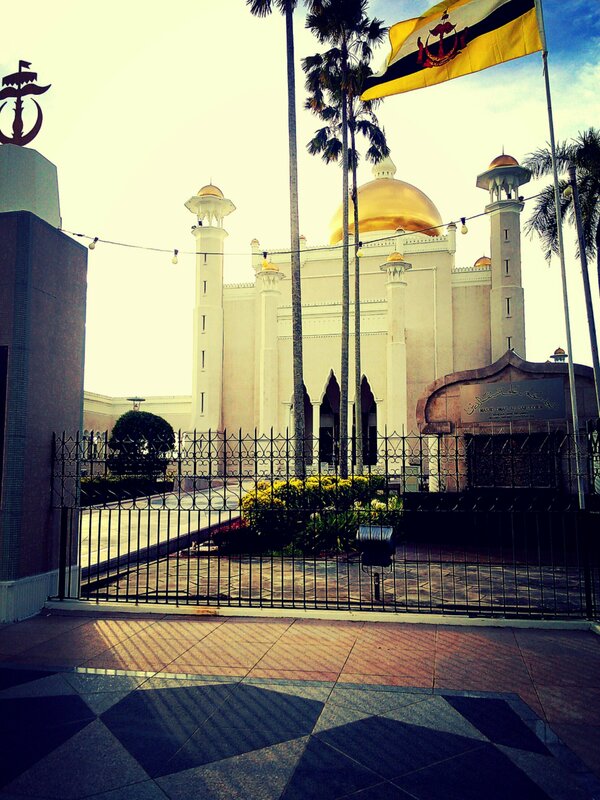 I have – but I just haven’t in a while, and never in Brunei. I suppose it was also the route I planned out. 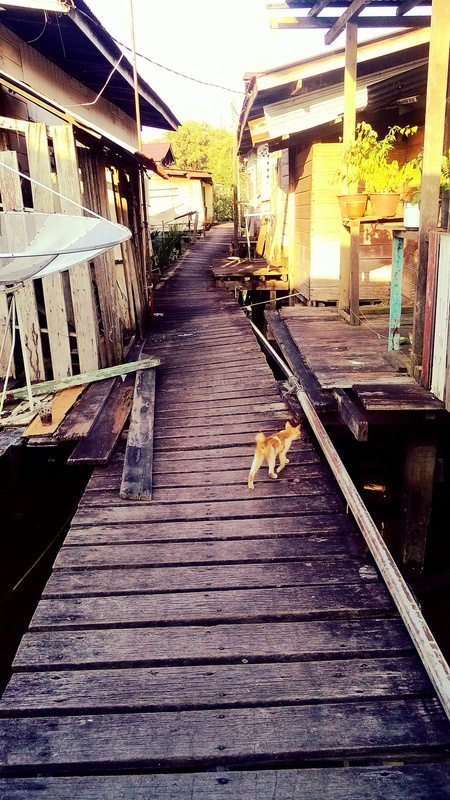 I wanted to try running into the water village, Kampong Ayer, the infamous jewel of Brunei, dubbed ‘Venice of the East’. 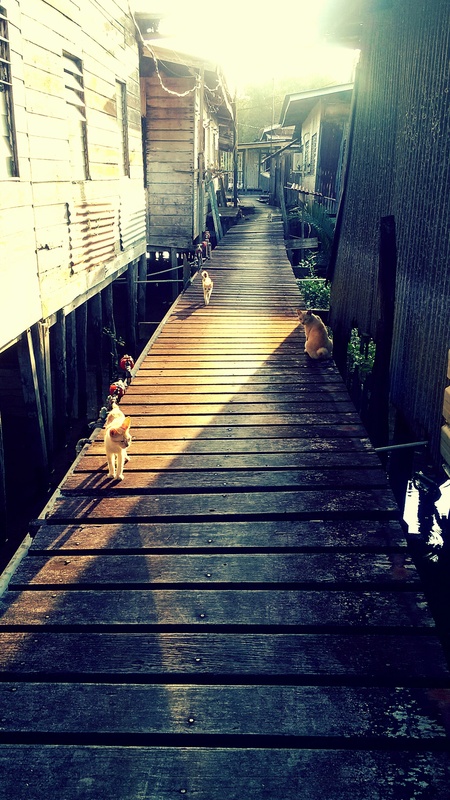 Whilst I’m aware it isn’t much of a “jewel” and more a sort of rubbish dump, I was still excited at the prospect of running on wooden walkways connecting houses on stilts on the Brunei river. I’d take photos! It’s be so sneaky! 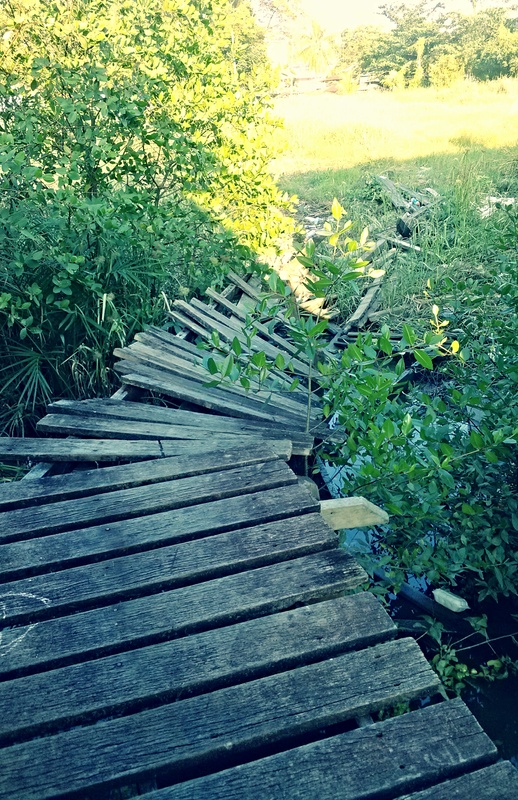 I might even wake people by plodding around on the bridges. I wondered how much noise I’d make. Anyway, you might have guessed from the title of this post that I never made it there. I was so dopey on lack of proper sleep, but proceeded to get dressed and do my stretches on the mat. That trusty, soft, and oh-so-comfortable mat. Next thing, I woke up with a start at eleven. I had fallen asleep doing the reclining hero! I’M SUCH A FAIL! In other news, my thighs and abs are all nicely stretched now. Anyway, today turned out to be such a busy day that I could only fit in a relatively small run in the evening. 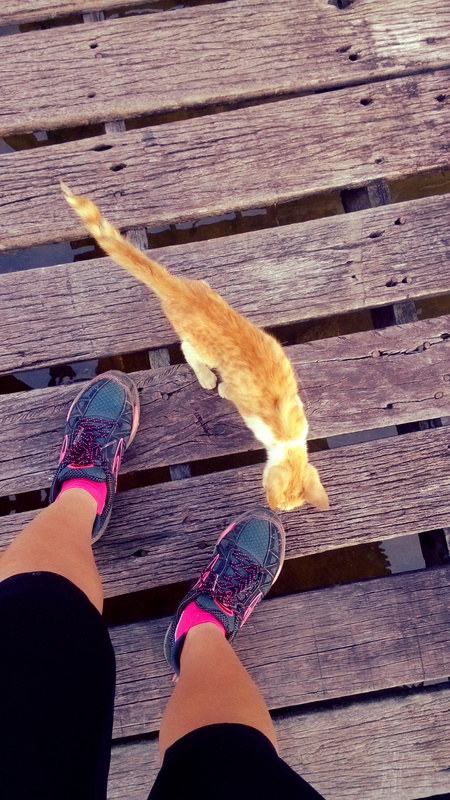 Kampong Ayer run is now rescheduled to tomorrow! I should calm down a bit and sleep properly tonight! Before recently, I’ve only had to deal with these unfortunately timed nature calls on hikes where I’m prepared (and there are many trees in the vicinity to hide behind). Awkward. Anyway, I felt so relieved I was in the middle of a Bandar run the last time this happened. Walked into the shopping mall, but got stopped quickly. Not because I looked like a hobo, but what’s this? I had to PAY to get in to use the loos? I never bring money on runs! Anyway, I ended up begging some staff at a restaurant to let me use their loos. P.S. 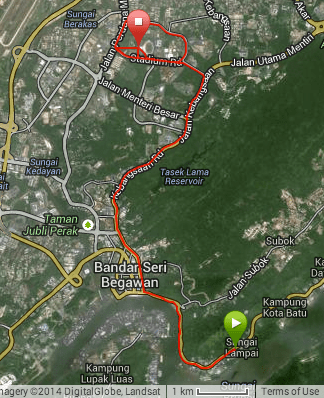 “Bandar runs” are what I shall start calling runs specifically around the Bandar Seri Begawan town centre. Probably not that worthwhile to designate a name since they actually make up 75% of my weekly runs..
A Coffee Run, literally. And LSD. So I realised that my long slow distance runs aren’t appropriately slow enough, and hence, does not count as a slow run. Was reading around RW plus other running blogs and websites when I came to the conclusion. My most recent 5k time was 28:40, which rendered the long run training pace to be 7:09 – 8:02 min/km. 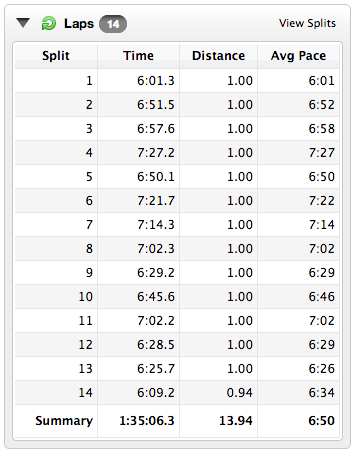 My magical 5k PB of 25:57 (that happened over 6 months ago) calculated the long run training pace to be 6:32 – 7:21 min/km. Much closer to what I was running. This gives me hope… Hope that I can smash that PB. That, or most possibly, I’m just running my LSD all wrong.